If you need a baby shower gift, here is a great option! 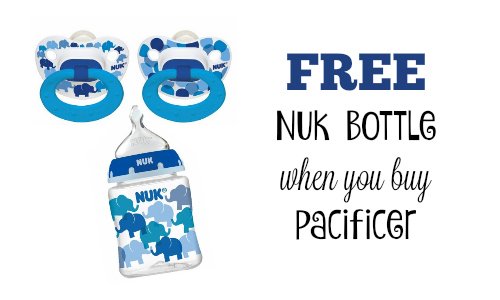 You can snag a Nuk Pacifier and a Nuk Bottle for $1.91 each at Target. Keep in mind that Target is also running a big gift card offer right now. You’ll get back a $25 gift card when you spend $150. You can use it to buy baby gear or stock-up on diapers for the next 6 months.